Recharging times that increase with the capacity of the batteries will be very, very short with Xiaomi’s revolutionary technology. 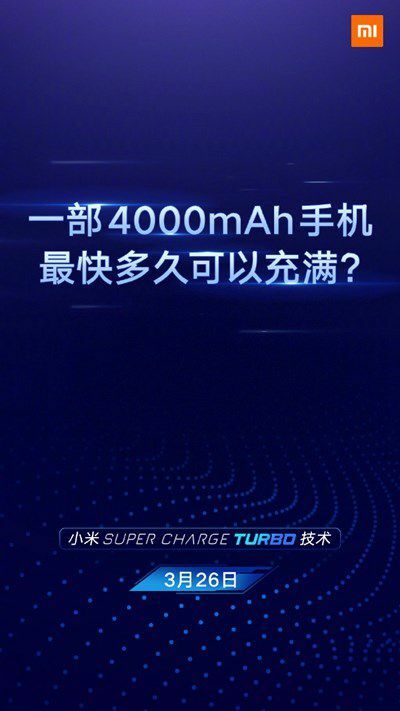 Chinese price/performance giant Xiaomi plans to announce the new charging technology Super Turbo Charger at an event to be held in China tomorrow. Xiaomi’s new technology will work with 100 W. Details of the event will be announced tomorrow will be fully explained in the information coming. Super Peat Charger, which will be the fastest charging technology in the world, claims that an empty smartphone with a capacity of 4,000 mAh can reach the full charge in just 17 minutes. In the video, Xiaomi is putting the brand new 100 W charging technology into a race with Oppo’s 50 W charging technology. With Xiaomi’s Super Peat Charging technology, a 50% full battery percentage can be reached in just 7 minutes, while 10 minutes is required for full filling. As soon as the Xiaomi’s battery reaches 100%, its 3.700 mAh capacity is at 65%. Xiaomi, which offers a 27W charger with its smartphones to its users under normal circumstances, seems to be much talked about switching to a 100 W charger (on its flagship).